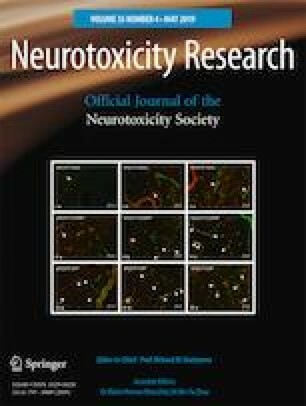 The metabolism of adenosine (ADO) and nitric oxide (NO) in brain tissues is closely associated with the change of oxygen content. They have contrary effects in the onset of hyperbaric oxygen (HBO)-induced central nervous system oxygen toxicity (CNS OT): ADO can suppress the onset, while NO promotes it. We adopted the ADO-augmenting measure and NO-inhibiting measure in this study and found the combined use had a far superior preventive and therapeutic effect in protecting against CNS OT compared with the use of either measure alone. So we hypothesized that there is an interaction between ADO and NO which has an important impact on the onset of CNS OT. On this basis, we administered ADO-augmenting or ADO-inhibiting drugs to rats. After exposure to HBO, the onset of CNS OT was evaluated, followed by the measurement of NO content in brain tissues. In another experiment, rats were administered NO-augmenting or NO-inhibiting drugs. After exposure to HBO, the onset of CNS OT was evaluated, followed by measurement of the activities of ADO metabolism-related enzymes in brain tissues. The results showed that, following ADO augmentation, the content of NO and its metabolite was significantly reduced, and the onset of CNS OT significantly improved. After ADO inhibition, just the opposite was observed. NO promotion resulted in a decrease in the activity of ADO-producing enzyme, an increase in the activity of ADO-decomposing enzyme, and an aggravation in CNS OT. The above results were all reversed after an inhibition in NO content. Studies have shown that exposure to HBO has a significant impact on the content of ADO and NO in brain tissues as well as their biological effects, and ADO and NO might have an intense interaction, which might generate an important effect on the onset of CNS OT. The prophylaxis and treatment effects of CNS OT can be greatly enhanced by augmenting ADO and inhibiting NO. Xie Cheng-wei and Wang Zhong-zhuang contributed equally to this work. This work was supported by the National Natural Science Foundation of China (No. 81471813). All procedures were performed in accordance with the Second Military Medical University (SMMU) Guide for the care and use of laboratory animals, and approved by the ethics committee for Animal Experiments of SMMU.